Mission: The RUMC Chancel Choir seeks to glorify God as we lead the congregation in worship, through music, and in supporting, caring, and praying for one another in Christian love. The choir sings weekly at the 9 a.m. Sunday worship service. On Sunday mornings, warm-ups begin at 8:30 am in the Choir Room. Mid-week rehearsals are on Wednesday nights, 6:45-8:00 pm, from August through May. There are no mid-week rehearsals during June and July. With an understanding of how busy life can be, choir members are simply expected to participate as fully as they can. Hopefully, that will mean regular attendance at rehearsals and Sunday services. When attendance is not possible, choir members are encouraged to communicate absences in advance. Conflicts due to work or family are a normal part of life. Singers should be able to sing in tune and hold a part. Basic music reading skills are very helpful but not required. How do I join the Chancel Choir? 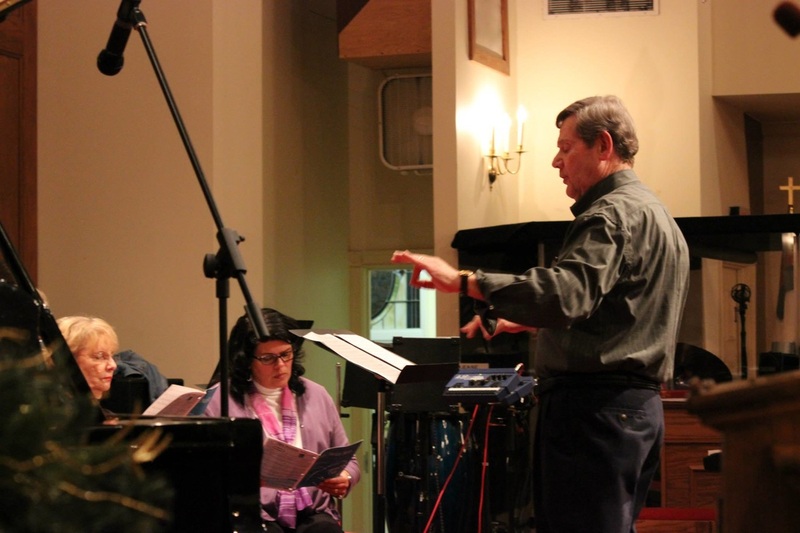 Contact our Director of Music Ministry to plan a visit to a choir rehearsal. What are the benefits of participating in the choir? Perform beautiful music to God's glory every Sunday! Being a part of a diverse and friendly community of musicians. Singing is recreational—singers often leave rehearsal with a song in their heart and a spring in their step. Serve the church using your musical gifts. Improve your singing and musicianship. Participate in major works concerts with orchestra. Feel more connected within the church by participating in the choir in a small group format.